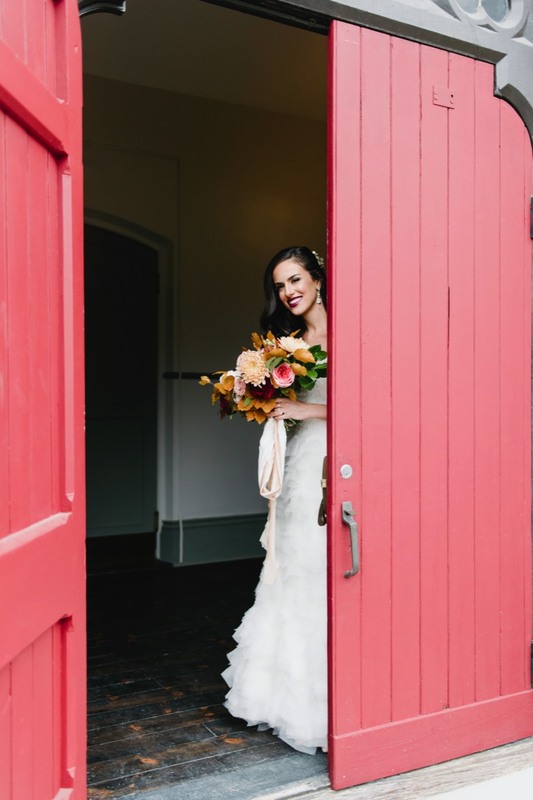 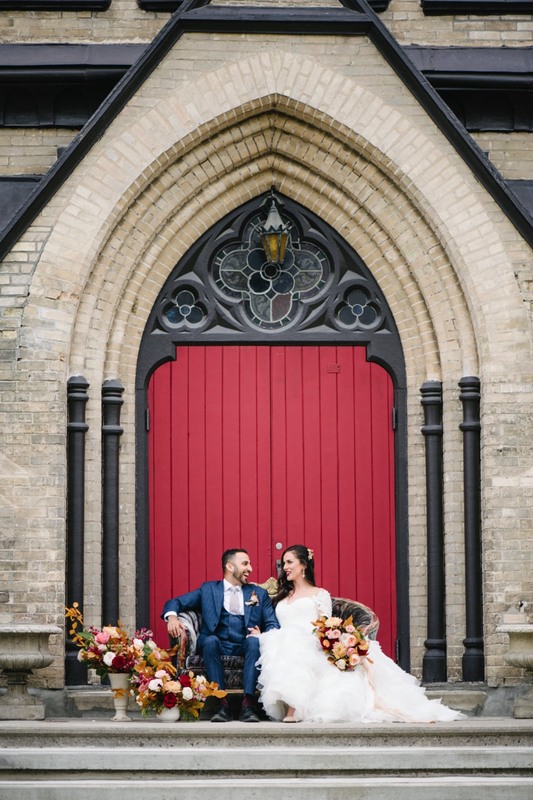 The iconic Red Door and the natural beauty of the fresh water stream and wood bridge make the perfect backdrops for your outdoor photos. 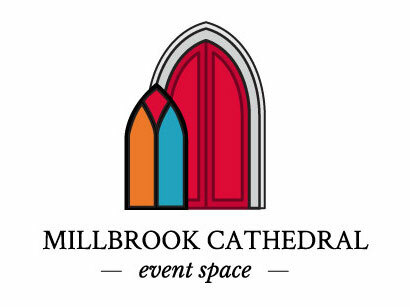 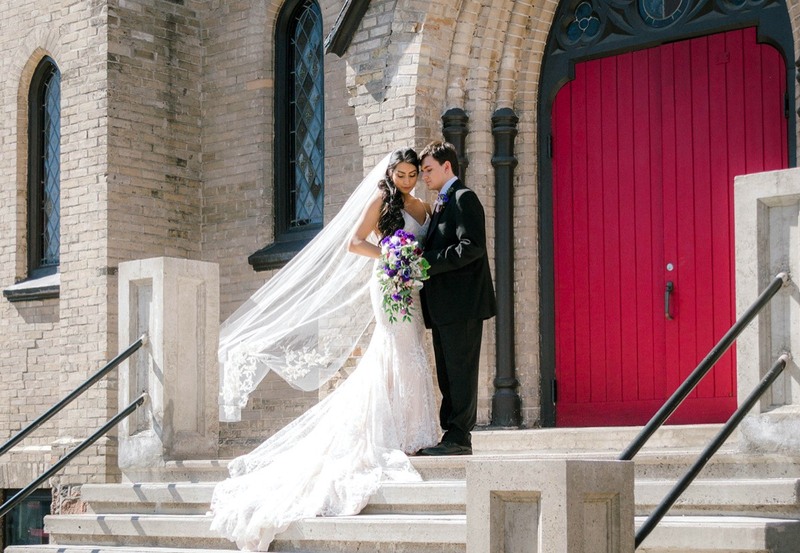 Millbrook Cathedral is an all-season, all-in-one venue. 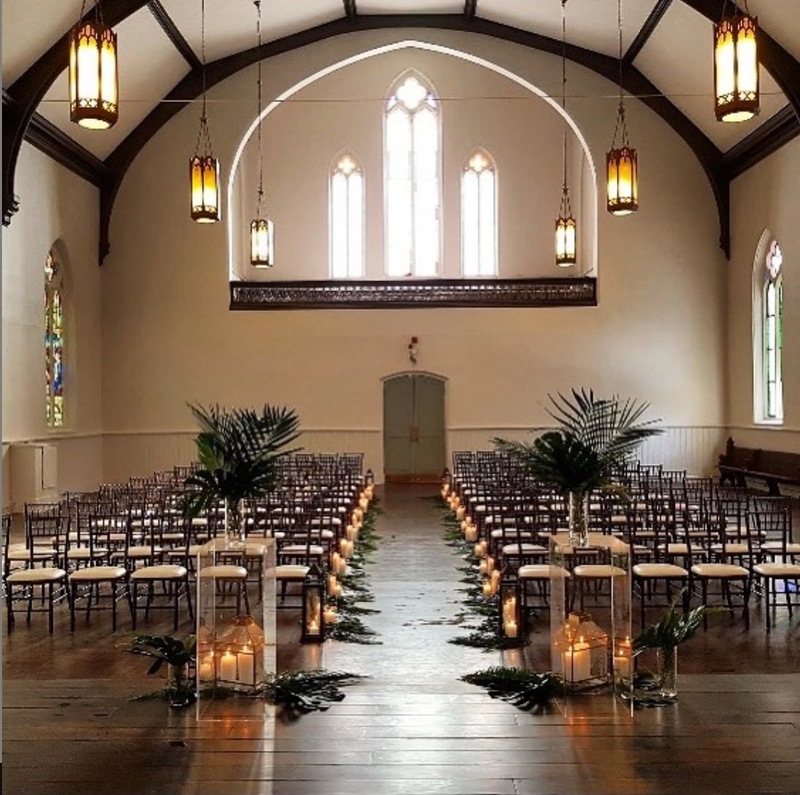 If you choose to have an indoor ceremony the main ballroom will grandly host your ceremony. 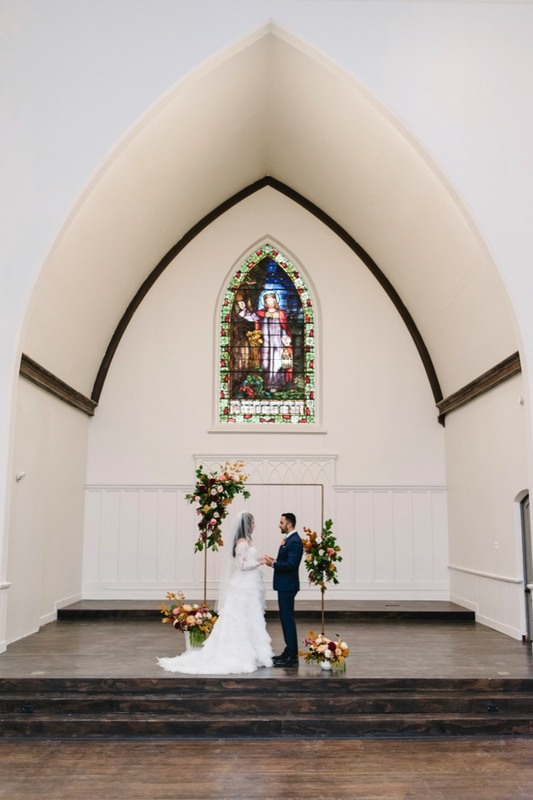 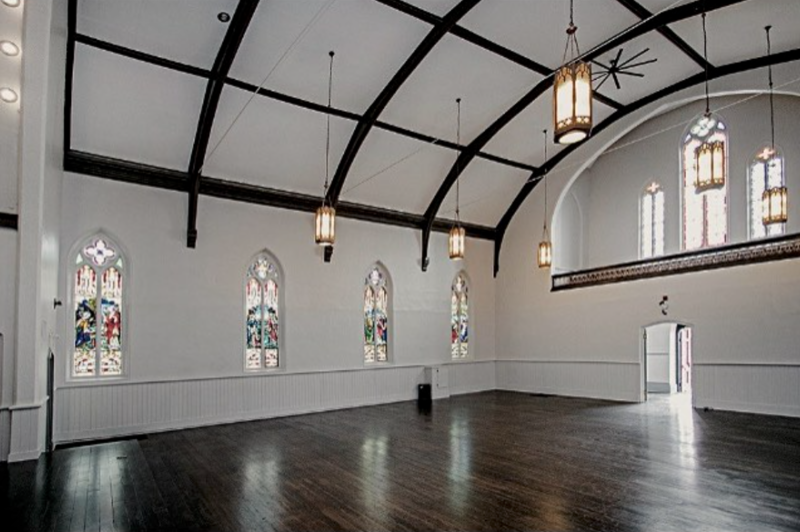 With it's grand cathedral ceiling, gleaming hardwood and original stained-glass windows, this space is not only awe-inspiring for your ceremony but makes for an amazing place for dancing and live music or a DJ to party the night away. 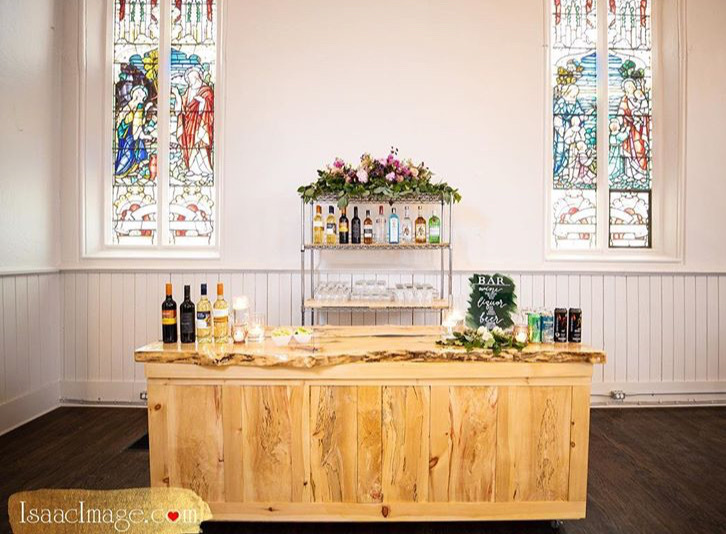 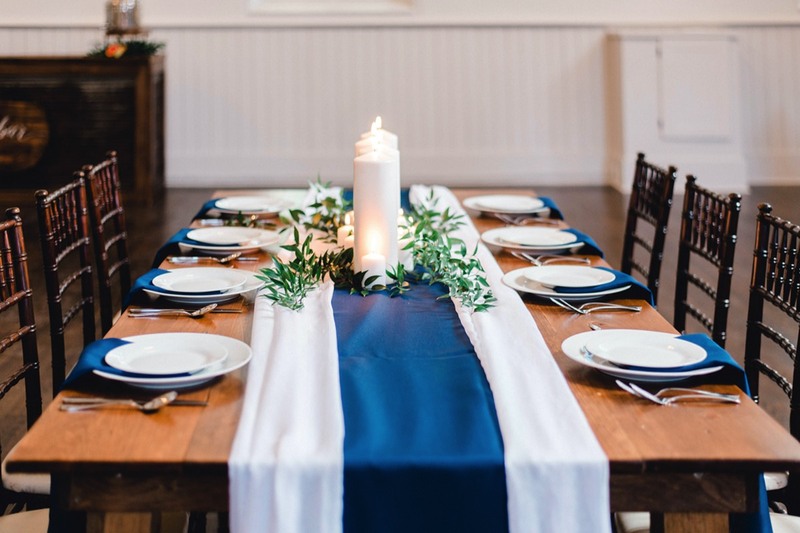 With room for about 140 guests, endless choices in decor, stunning live edge bar and a stage for your head table - this room is a showstopper. 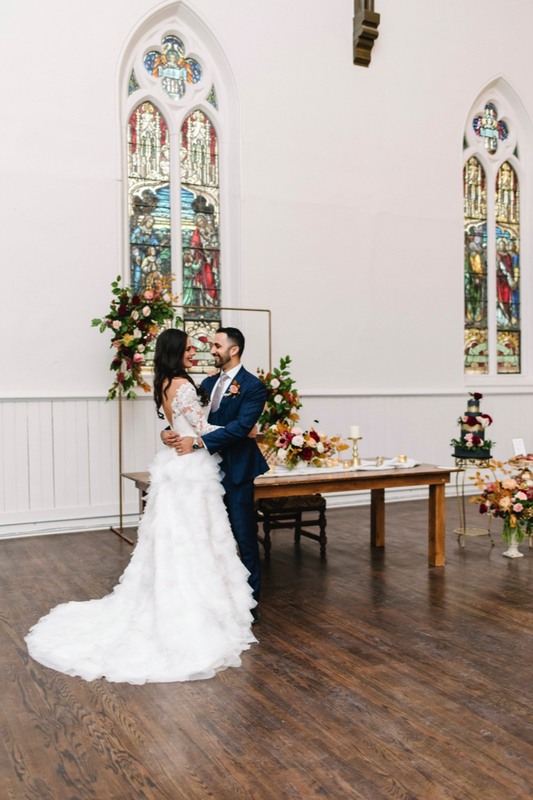 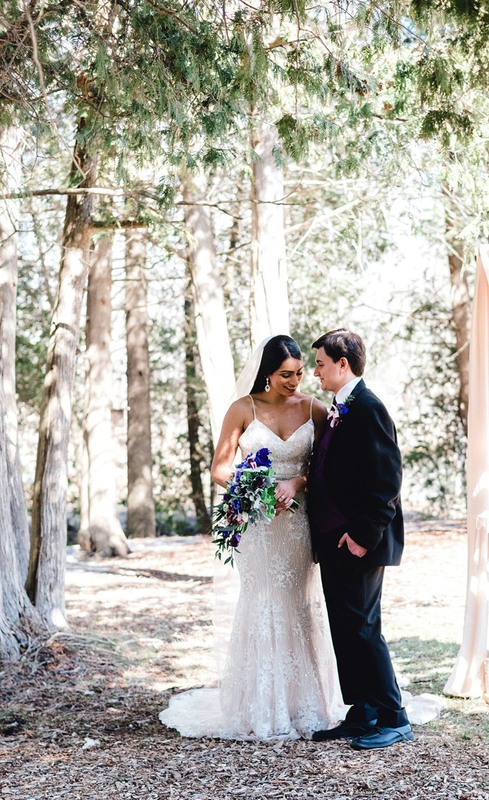 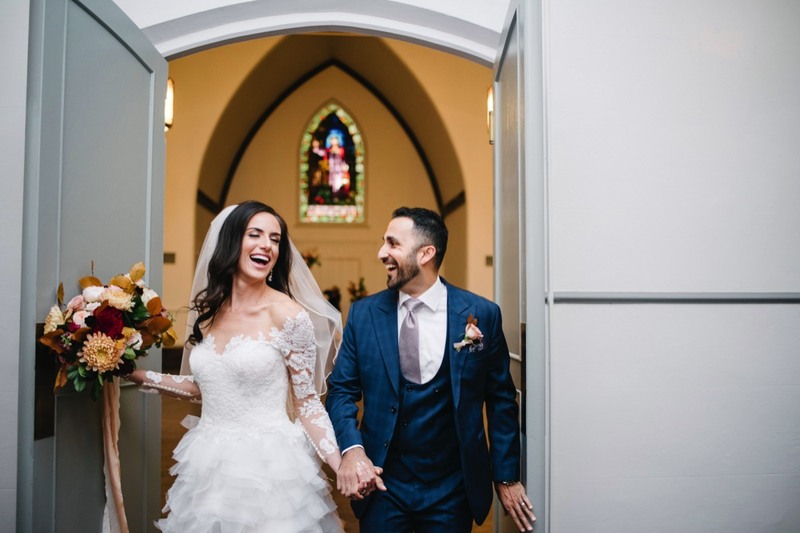 Once the ceremony is done, your guests will join you in our downstairs lounge for music, cocktails and photos while we transform the ballroom into your reception space. 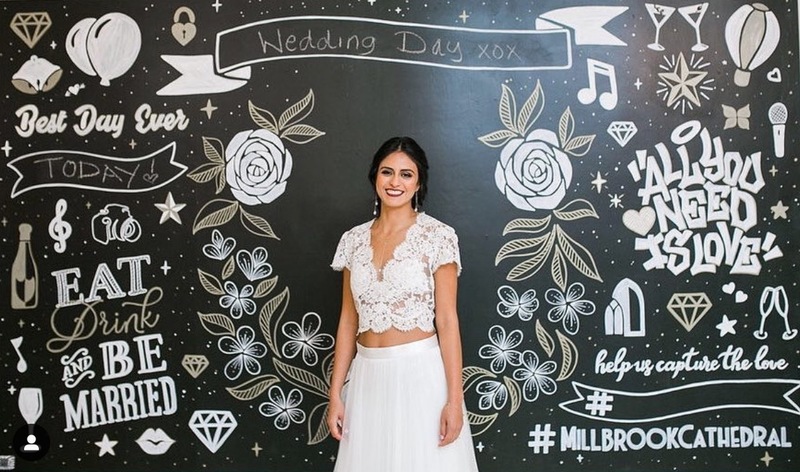 Featuring a 15ft feature chalk wall that can be customized with your names and date, your guests will have a great time taking selfies and pictures while enjoying appetizers and mingling before dinner. 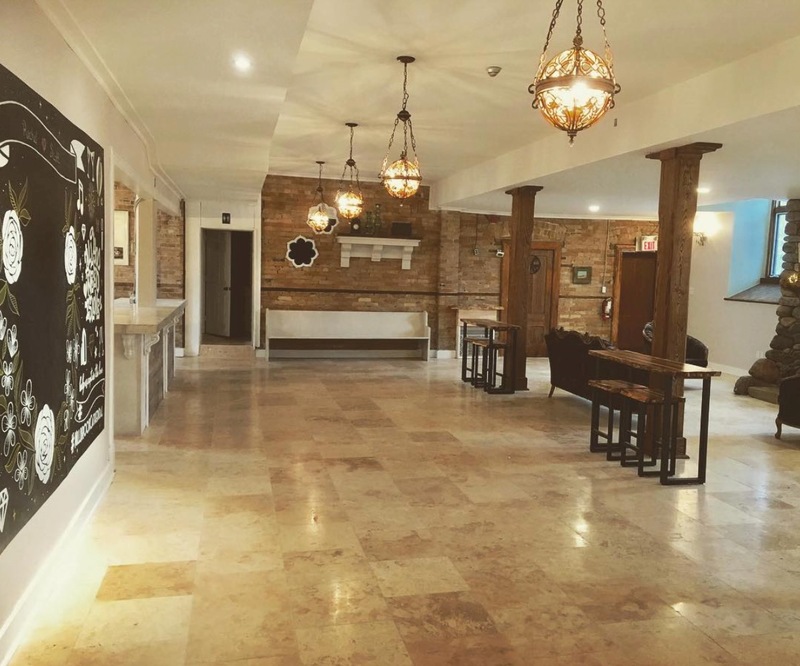 The lounge also features a stage for music and DJs plus exposed brick, and lots of comfy chairs and hightop tables. 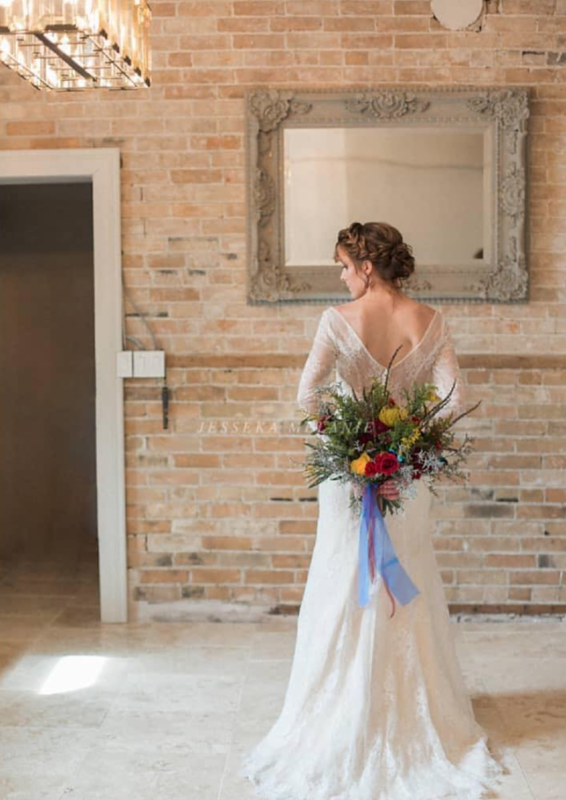 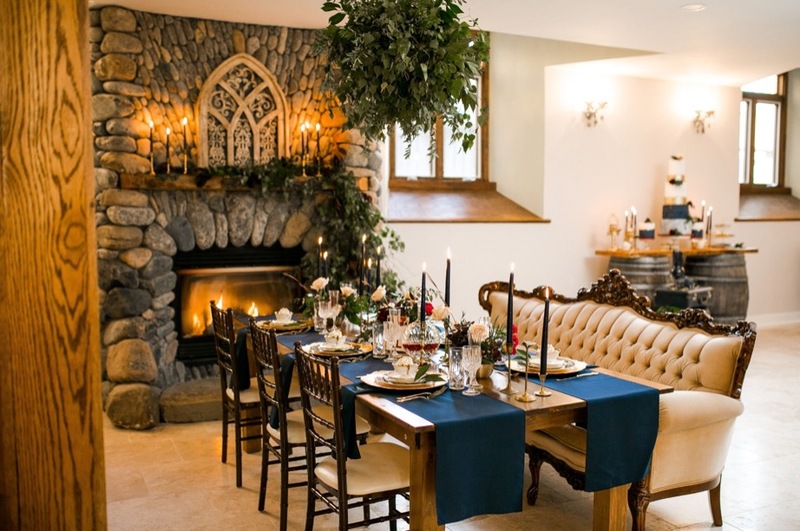 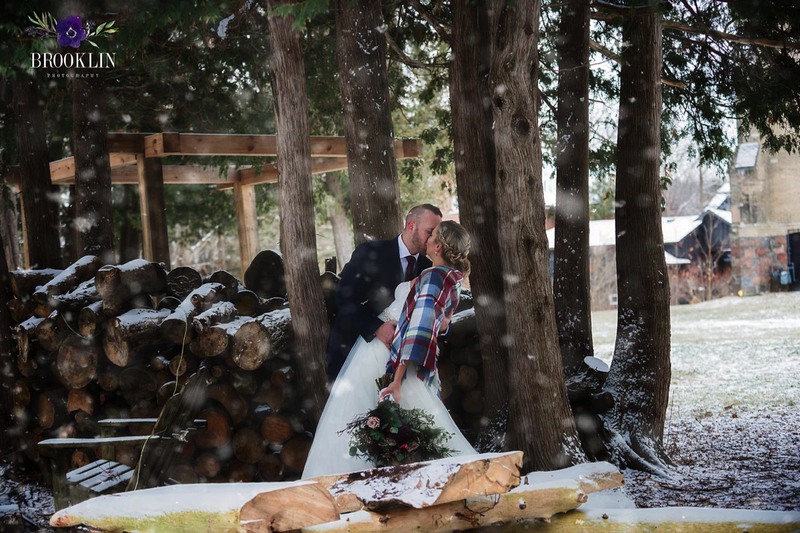 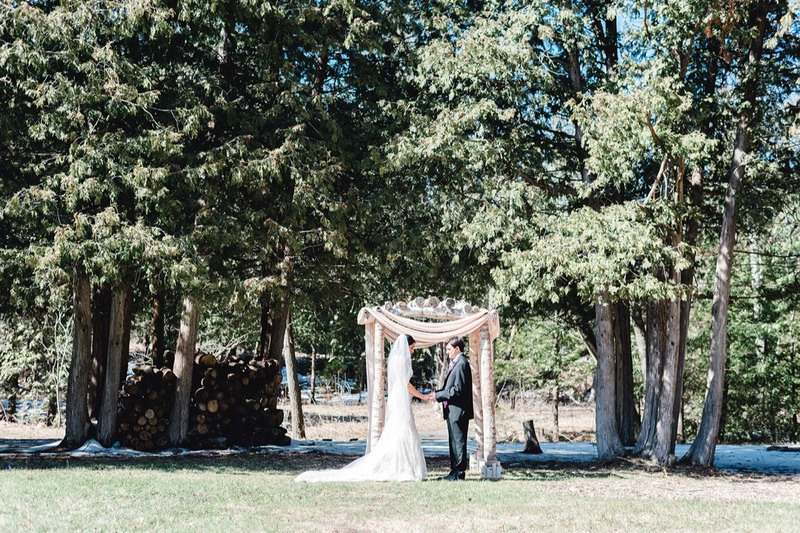 For more intimate ceremonies, the stone fireplace makes for a romantic and cozy backdrop.